FRIDAY, May 5, 2017 (HealthDay News) -- An electronic tracking device can calm worried parents who fear their child with autism might wander off and stumble into danger, a new survey shows. With the device, "parents were more comfortable letting their child spend time with family and friends," explained lead researcher Dr. Andrew Adesman. "When there is such a high wandering concern, parents are often not comfortable with their children spending any time outside of their direct supervision," Adesman said. "But an electronic tracking device provides an additional form of assurance that if something were to happen, the risks could be mitigated." A full 96 percent of parents surveyed who said they were using an electronic tracking device claimed it improved their quality of life, Adesman said. He is chief of developmental & behavioral pediatrics at the Cohen Children's Medical Center of New York. 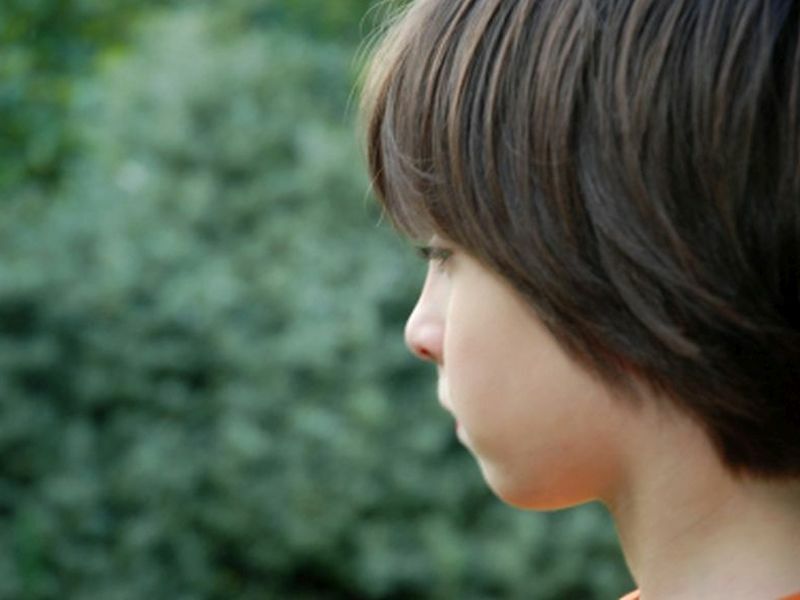 "This is the largest study to date of children with autism who have wandered. It's also the first study ever to systematically try to capture data from families about their experiences with these devices," Adesman said. Parents of children with autism were invited to participate in the survey via autism organizations nationwide, and Adesman's team culled survey responses from more than 1,300 parents. All were asked specific questions about the severity of their child's disorder, any previous wandering episodes, and what steps they'd taken to curb this behavior in the past. Before using a tracking device, 87 percent of the parents said their concerns about wandering colored decisions about their child spending time with others. Only 60 percent of parents said this was the case while using such a device. According to Adesman, the study tried to assess parental anxiety and stress associated with wandering concerns. The researchers wanted a better understanding of this problem, which Adesman believes has been inaccurately studied to date. One expert said he was happy to see such a study published. "I am not in the slightest bit surprised by this research, but I'm really glad it was done," said Thomas Frazier, chief science officer for Autism Speaks. The study "establishes something that we've suspected for a long time about individuals with autism or developmental disabilities wandering, and the need to track them for many reasons," Frazier said. "The main one being that if they wander, they can be identified and brought back. But, also for quality-of-life issues, as the paper points out." Frazier's clinical and personal experience helped him understand the increased peace of mind parents might receive from electronic tracking devices. He explained that many children with autism have no sense of boundaries, something he has personally witnessed with his son. About 10 years ago, Frazier and his wife needed a police dog to find their young son who had wandered into the woods. He believes that scenario could have been avoided with an electronic tracking device. Adesman said much has changed in the past decade. "In recent years, there has been an increased appreciation of how common it is for children with autism spectrum disorders or other disorders to wander," he said. A recent survey from the U.S. Centers for Disease Control and Prevention estimated that about a quarter of a million children with autism or developmental disorders wander each year, Adesman noted. "It's a staggering figure. Sometimes these wandering episodes are benign, or sometimes they have tragic endings such as a drowning, motor vehicle accident or other forms of injury. Wandering is one of the most common causes of death in school-age children with autism, typically because of drowning," he added. While Adesman suggested that electronic tracking devices could help parents find their child before a tragedy occurs, there are still several issues parents included in the survey said they faced. Forty-two percent of parents who do not use these devices avoid them because their child either would not like wearing it or it would not fit. Additionally, 44 percent said the cost of the devices was too high, the findings showed. Frazier said the tracking devices can cost somewhere around $200, depending on the product and the company selling it. He added that the devices have changed dramatically over the years. They are no longer bulky, and come in a variety of options that can be worn on the wrist or clipped to clothing. He encourages parents to research styles to determine what would work best for their child. "For families that don't have a lot of means, sometimes there are local resources, such as the county board for developmental disabilities or other local groups who are willing to provide a grant or funding," Frazier recommended. "This is possibly one of the best uses of that funding that you can get." The research is scheduled for presentation Saturday at the Pediatric Academic Societies annual meeting, in San Francisco. Research presented at meetings is considered preliminary until published in a peer-reviewed journal.